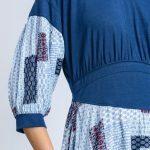 Navy print peplum top with solid bodice and print block bottom with peplum hem is perfect for that spring time afternoon. 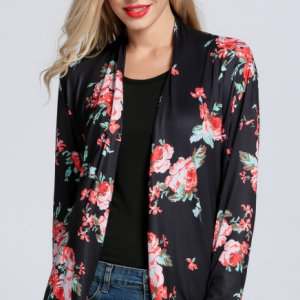 You can wear it under a lightweight jacket as this navy print top in polyester, rayon, and spandex is figure flattering. 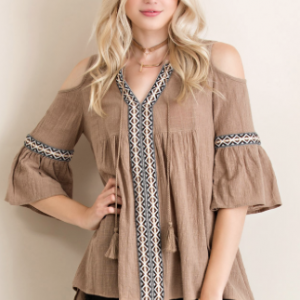 The three quarter sleeve in lightweight non-sheer print matches the bottom with flair. Rounded neck provides comfort and drapes the neck beautifully. 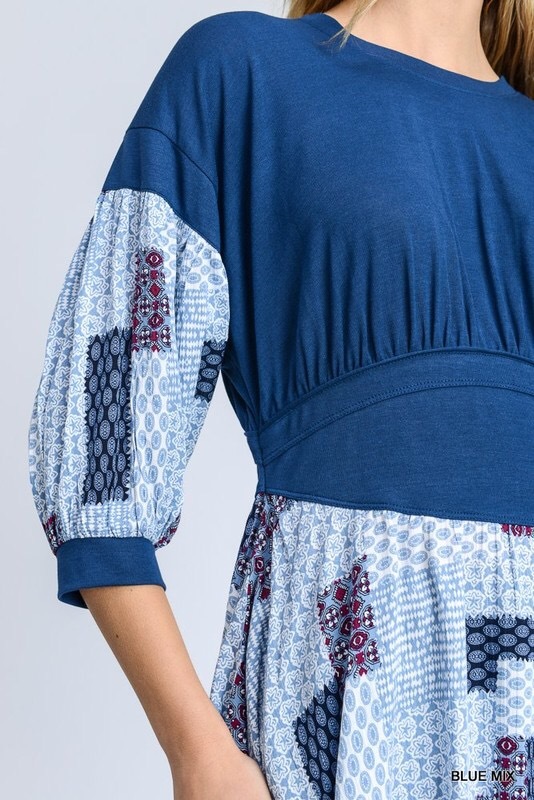 Patchwork detailing on the hem of this navy print peplum top and sleeves gives this top a charming, bohemium feel with a soft and comfortable look to take you from lunch to a nice dinner uptown. Also offered in pink.